Our joined overnight cruises create a more social experience for guests looking to make friends during their travels, while our fantastic cabins ensure that you can still enjoy privacy. Explore the islands, bays and beaches of Halong, a UNESCO World Heritage-listed destination, while enjoying our international-standard amenities and service. 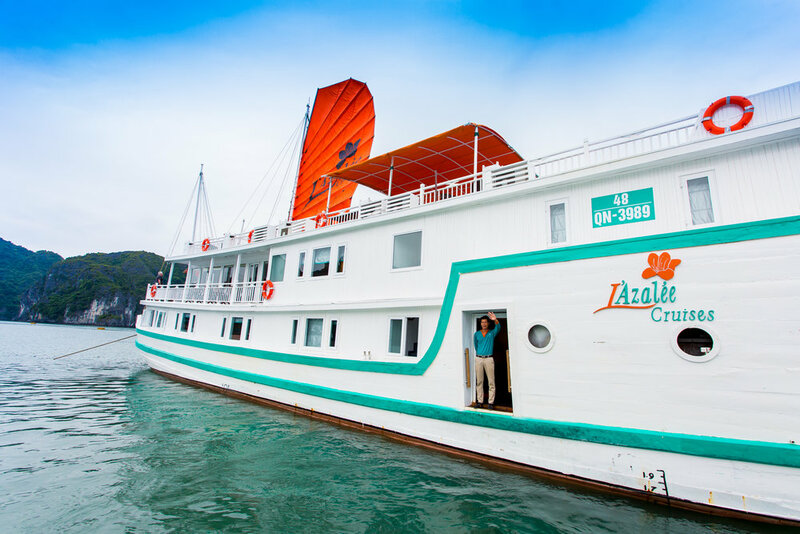 These cruises are particularly noteworthy for the special activities which are available for you to enjoy, adding to the Halong experience that only L’Azalée can provide.